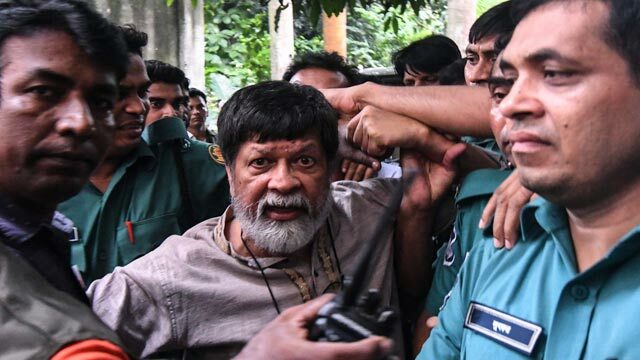 New York, Aug 19 (Just News): Shahidul Alam used his photography to challenge the Bangladeshi government and military on freedom of speech issues and the “disappearances” of their political opponents. US based prestigious newspaper the New York Times wrote an editorial about the recent attack on freedom of expression by the ruling authority of Bangladesh. “Mr. Alam has had many encounters with Bangladeshi authorities throughout his career. His 2013 exhibit about extrajudicial disappearances of government opponents was shut down by the police minutes before the show was to open. Undeterred, Mr. Alam and his associates put on an impromptu exhibit in the streets outside the gallery. In 2009, an exhibition of photographs of Tibet at the Drik Gallery provoked the Chinese government to pressure the Bangladeshi government and riot police to shut down the show. And 18 years ago, when the Drik Gallery was the meeting place for government opponents, Mr. Alam was pulled out of a rickshaw by a group of men who stole his computer and camera and stabbed him eight times, it added.